Google introduced Accelerated Mobile Pages (AMP) in search results back in February 2016, as a solution to a big user experience problem for mobile searchers – page speed. Can AMPs help improve rank? Now that the dust has settled on the rollout and webmasters have started using them, I’ll give a data-driven answer. But first, a little overview for those of you not familiar with AMPs. The project relies on HTML to create a simplified version of your site that loads quickly. Twitter, Pinterest, WordPress.com, Chartbeat, Parse.ly, Adobe Analytics and LinkedIn are some of Google’s partners integrating AMPs. In early tests, Jon Parise of Pinterest found that AMP pages load four times faster and use eight times less data than regular mobile-optimized pages, so you can see why AMPs would be appealing to mobile users. Are they a rank signal? Since Mobilegeddon came along, we already know that if your pages are mobile friendly is an important rank factor. At a special press event back in December, Search Engine Land gleaned that AMP pages might get a ranking boost or a “fast” label designation, similar to how Google labels mobile-friendly pages. But Google’s Gary Illyes confirmed at the SEJ Summit in June that AMP is NOT currently a ranking factor. Google’s Mobilegeddon update, which basically mandated that webmasters make their sites mobile friendly or suffer in rank, was in response to a huge user experience problem. 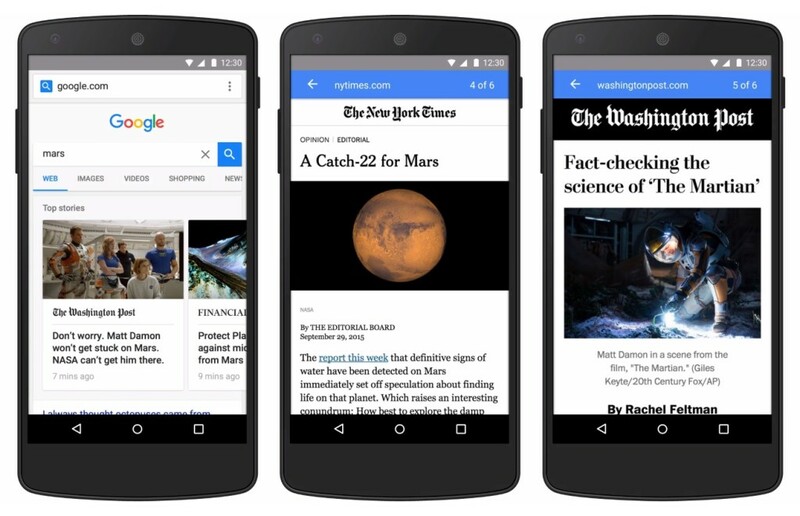 Accelerated Mobile Pages are just the next step in that response. Mobile users are fed up with Google sending them to pages that are hard to read, difficult to navigate, or slow to load – especially if they’re using mobile data. But here’s the one that matters: 70% of those who switch sites do so because of slow loading times. As the above statistic demonstrated, improving your site speed can keep people from getting frustrated and leaving your site. Google doesn’t want to deliver searchers to sites that just frustrate them, which is why bounce rate is an important ranking factor. AMP pages can load 15-85% faster than regular pages, offering a great solution to help lower your bounce rate. If searchers who visit your AMP-enabled pages are less likely to bounce, this also means they’re more likely to click through to other pages. Google considers user interaction with your site as an important indicator of value. Doing something as simple as improving your page speed can do wonders to improve these metrics and help your search rank in the process. Google’s News carousel appears above-the-fold on mobile – so carousel content receives way more impressions than the organic results shown below. Illyes confirmed as much at the SEJ Summit: 80% of publishers using AMP pages are getting more views. If your page is shown prominently in Google’s News carousel, it’s more likely to get clicks. Research by Rand Fishkin and others has shown that Google does consider a link’s click volume when determining rank in organic results. So if the better visibility your AMP pages have in search results improve clicks from search, it should impact your organic results overall. Better visibility leads to more clicks, and more clicks lead to more people reading your content. If it is newsworthy, informative, and altogether high quality, then better visibility can lead to more backlinks as well. This matters for rank, a lot. Links are one of Google’s top three rank factors. And when you’re marketing news content to search, the competition to get links can be stiff. Every news site and niche blog is covering the same story, so referring domains have a lot of options to choose from when linking. The visibility your content receives in Google’s News carousel gives a competitive edge. The same logic for backlink building can be applied to social sharing. Appearing above organic results improves your clicks, meaning interested readers are more likely to share your content as opposed to a site without AMP pages. 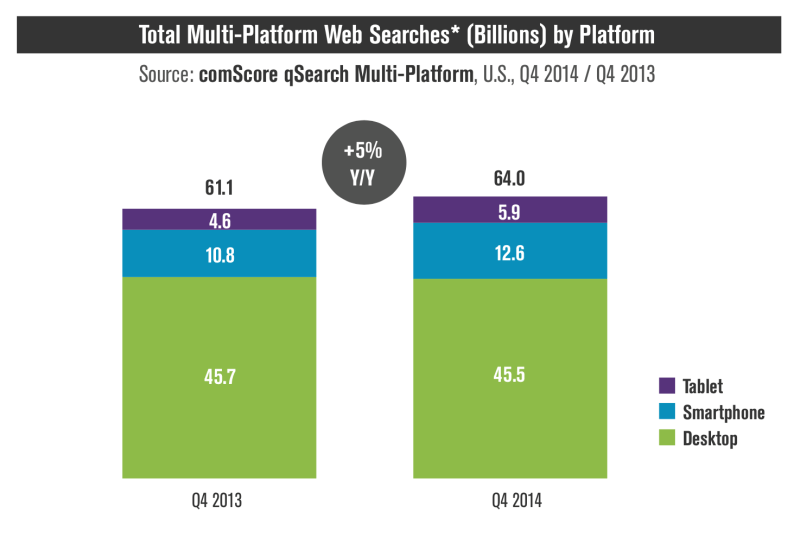 And while Google won’t admit that social signals are a ranking factor outright, they appear to matter a lot. Research from Searchmetrics found correlations between search rank and social signals on many major social media platforms. At the same time, getting these social shares means even more visibility, which can lead to more site traffic, more links, and better SEO. Just as improving site speed helps reduce your bounce rate, it can also improve clickthrough rate: 90% of publishers using AMPs have a higher CTR, which has to impact on-site conversions. Sure, you can argue that SEO and conversion optimization are two different things, but isn’t getting conversions the whole point of drawing web traffic from search? Creating AMP pages as part of your SEO strategy could have a huge impact on your return on investment overall. The trend is only continuing – a recent report found the ratio is now 60/40. One of Google’s main goals as a business is to deliver what people are looking for, not just in terms of relevancy, but also user experience. That’s why they’ve rolled out two Mobile Friendly updates in the course of a year and are talking of adding more mobile UX metrics, like site speed, as rank factors in the future. AMPs or mobile page speed in general might not be rank factors at the moment, but if you ask me, that’s bound to change. Preventing an algorithmic penalty is a lot easier than recovering from one. So instead of waiting to see Google’s next move, stay ahead of the curve with AMPs. Hi Aaron, thanks for this insight into AMP. Is AMP still mainly for news articles? 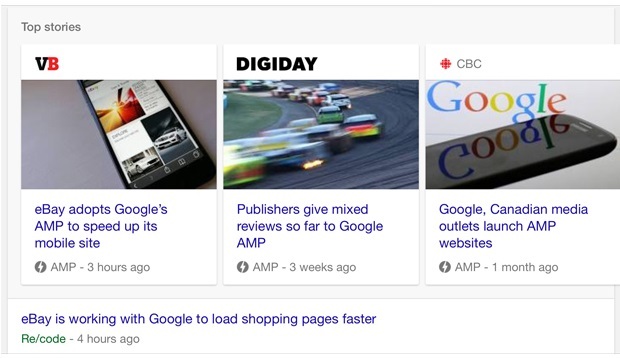 Or do you think websites should be looking to roll out all pages to be AMP supported? I’ve seen and read a lot of articles on the benefits of AMP and why websites should embrace it, but very little on the practicalities of implementing it into existing sites. I work on a lot of bespoke website builds that don’t have access to the AMP plugins that are available by off-the-shelf CMS builds like WordPress. I’d be very interested to know how to introduce AMP without effectively creating lots of duplicate pages which would result in double the amount of work and potential maintenance required. Also with the restrictions of AMP in that it doesn’t support the use of JS, third party content, etc. this could be an obstacle to some ecommerce sites which may rely on JS for certain functionalities like adding a product to a basket, notices, etc. Correct me if I’m wrong on any of this. AMP is not a ranking factor, we ran an experiment on one of our website(which was ranking on the 2nd page – 11th position) for a very competitive keyword with a search volume of more than 1000. It didn’t show any improvements in mobile rankings given the fact that everything else was kept same(content, links etc). Ours is a B2B website where we have used a lot of JS & bootstrap in the code. AMP implementation also took a good amount of time because of the restrictions it has and we had to compromise our design and layout to make it work without any error. So in short not worth for a B2B website, E-commerce website but if u are a publisher, blogger u should definitely implement AMP. If you want your page to load fast, definitely optimise it for page speed. As of now AMP is not directly impacting rankings but things might change once the Mobile First Index will rollout. AMP including WSJ, Washington Post, eBay etc. I don’t know why eBay implemented this because u can just land the user on AMP but for transacting the user has to be taken to the original website. Google has just introduced the tool to check if your site pass AMP test. My website does not AMP and I was in dilemma whether to go for it or not as it involves little coding and I don’t want to disturb my site. But as you have said, AMP factor can affect organic ranking of the website. So I suppose I should start working on it. I have implemented AMP 5 days ago on my wordpress site http://www.sarkaridunia.in/ using a plugin AMPforWP. But my traffic going down day by day (approx 30% traffic decreased). After i have checked the SERP of my top traffic pages, rank down 1-2 position in search result. After analysing more i seen my bounce rate is increased & time duration on page decrease. I think user spending less time on AMP page of my website. Because of [x] cross button in AMP pages header, [x] button force the user to go back the search result. I am confused now what i do with AMP. I should disable this now or wait for some time. If it’s really hurting your business, I would suggest hiring a web developer to accurately code the AMP pages for your website. That is the best way to go about it. Maybe it’s the theme of your website or something else that is making the [x] button in the header to look big, or maybe the users are accidentally clicking it. Usually, AMP plugins get the job done, but you have to remember that these are made to work for everyone. So that in itself means that it is not customized for your website.